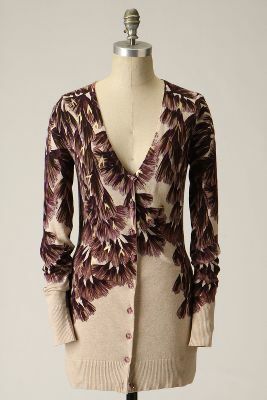 Anthropologie's Elodie Lily cardigan originally retailed for $128 but is no longer available. If you missed out on the original, reader Becky just emailed me with this inspired by option from Nordstrom. It retails for $129 (so actually a little more than the Anthro original) but is currently on sale for $85.90. Click on the photo below if you're interested in purchasing.